It's the celebration of the year! For followers of Jesus, Easter is our high holiday and one of our greatest celebrations. We celebrate the greatest story of love and redemption that the world has ever known! That through Jesus' life, death, resurrection and ascension, the world and all of humanity has been renewed, we have been restored fully to God, and we can now enter into the abundant life that we were meant to live. We celebrate that life comes out of death, that spring follows winter, and that our tears turn into dancing. And that is just what we are going to do. Put on your dancing shoes and come on out for the party of the year! Mimosas for everyone! 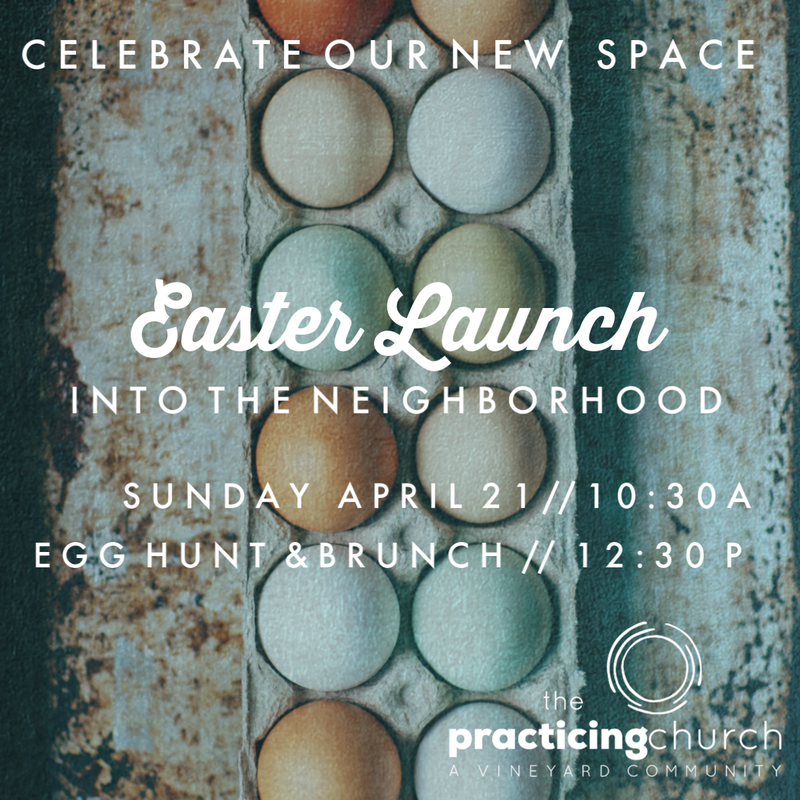 Join us as we celebrate our new gathering space!